I try to be conscientious about drinking enough water and always carry a water bottle with me. I have many water bottles and but no one water bottle works for me perfectly. Some don't fit easily in the car, some don't hold enough to take along for more then a work out and some are just plain hard to clean. I was thrilled when Precidio asked me to review their PURE water bottle! I had some doubt if a glass water bottle would work for me since I am always on-the-go with at least one of my kids and a glass water bottle surely had to be handled with care. Right? WRONG! Not only is the PURE water bottle nontoxic, easy to clean, easy to maintain and easy to recycle, it is also shatter proof. A SHATTER PROOF glass water bottle? Yes! It is made from tough to break borosilicate glass that can withstand high impact. And here’s the best part, should the glass ever break, the Safe-Shell coating keeps all the shards contained and away from human touch! It will also contain the liquid inside so not only are you and your kids and pets safe from the shards but your drink is also contained should you drop your bottle at the gym, yoga or work (no embarrassing moment of having to mop up iced coffee off your gym floor with your towel - not that that has ever happened...). 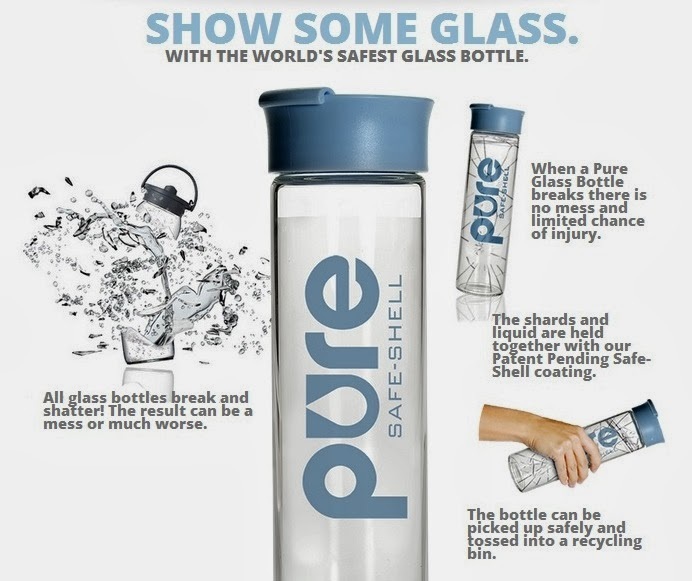 In addition to all the above PURE is made with 100% recycled glass. Your beverages stay naturally colder, hotter and fresher longer (which I can attest to after having forgotten my aqua fresca in my gym bag for three days! No more molded and icky plastic bottles!) I also like the fact that water kept in a glass bottle never taste like plastic (which often happens in other bottles) and if you drink a lot of fruit water like me you will appreciate that glass does not take on the flavor of the drink carried in it. So no matter what you fill your PURE glass water bottle with after washing your bottle it will be fresh again and no odors will linger! The 20 ounce (600 ml) size of the PURE bottle is just right for me. I will refill it a few times during the day but it will last long enough for a work out and an errand or simply to take along on a busy day. I love the timeless design and the sleekness of the bottle as well which makes taking it anywhere fun! The 2” opening of the PURE bottle is ideal for adding ice and fruit wedges (which I love doing - especially frozen fruit). The bottle lid is made with Eastman Tritan (a BPA free material that is completely safe for contact with food). I also find this bottle much easier to drink from when on the move (literally). I can easily pour a big gulp in my mouth while running on the treadmill without having to stop or while chasing my preschooler around the playground. Perfect for any Mom or Dad on the move. Another big plus for me is the fact that the bottle fits in any standard sized cup holder which means it fits in my car and I can bring it along on car trips, on the way to the gym and to pick up the kids without having to pack it away in fear of it falling out of the cup holder because the bottom is too big. Fill water bottle 3/4 full with cold filtered water. Add three lemon slices, 4 leaves of mint and about three slices of cucumber, halfed. Put in fridge for at least 2 h but best over night. 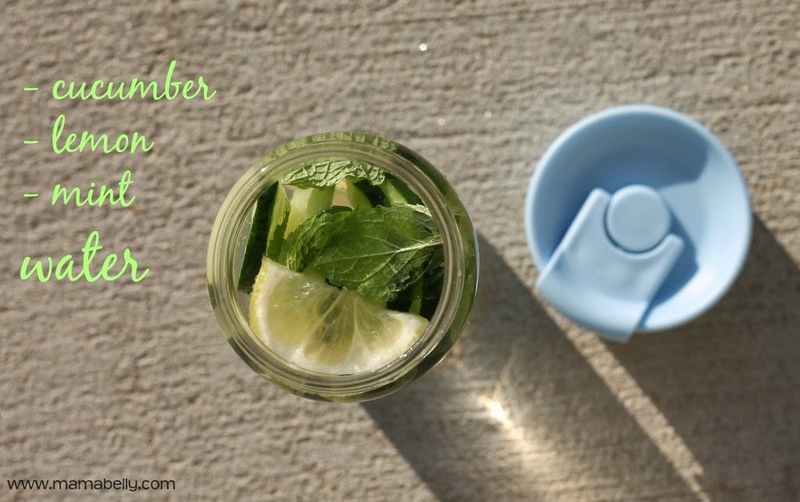 Enjoy this crisp and refreshing water on hot days or after work outs. Fill water bottle 3/4 full. Add frozen strawberry slices and a few drops of lemon juice. Refrigerate for at least 2 h but best over night. 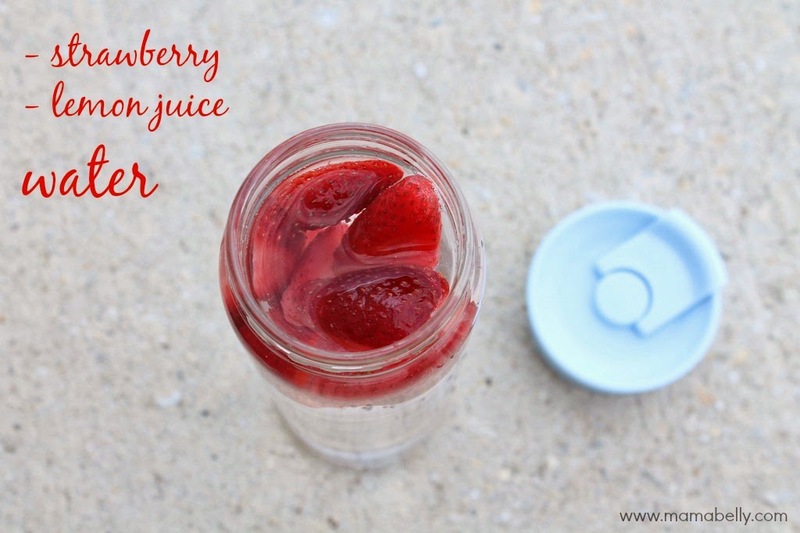 The natural sugar of the strawberries makes this a lightly sweet and fruity water perfect for any day! Why don't you have one yet? WANT TO WIN ONE? Enter here! Open to both Canada and US Residents! The winner will be notified via email and has 24 h to respond and claim the prize or another winner is drawn! Disclaimer: Precidio sent me the PURE glass water bottle to review. I have received no further compensation. All opinions are my own! I like that it is shatterproof the most :). The best part is the shatter resistance. I love the sleek design! I love drinking from glass, and in the desert having a water bottle close at hand is essential...must get my mitts on one of these!!! Fits in any cup holder! Glass is so easy to clean. My other water bottles are made from plastic or aluminum and I can never see if I got it absolutely clean. 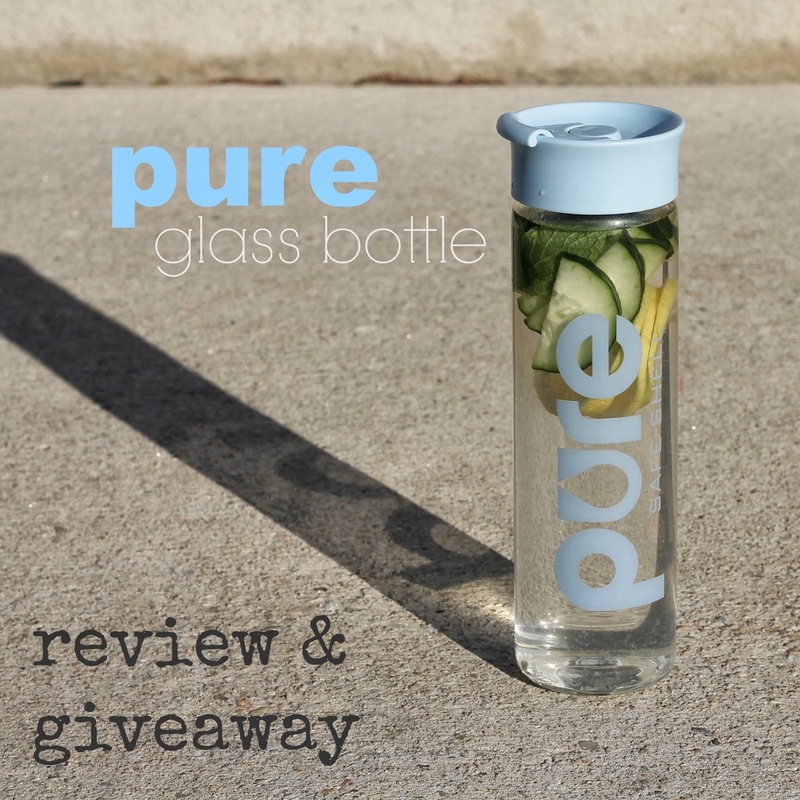 This would be my first glass water bottle so hope I win! I wish I lived in the US! This bottle looks perfect! 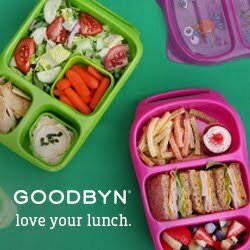 BPA free, and I like the look. That you can recycle it! I like that it's made of glass. I like that its glass! Plastic does have a taste! As a mom of two boys, i like that it's unbreakable glass. I love that it's shatter free! The klutz in me really appreciates that! The shatter free glass would be great for me, lol. Looks like a great water bottle. shatter resistant glass? That's awesome! Definitely love the shatter proof glass. I also like that it maintains its coldness/heat longer. i love the splash of color the fruit adds to the clear water. I love that it is shatter proof! I love the shatterproof glass and that it fits into a cup holder!